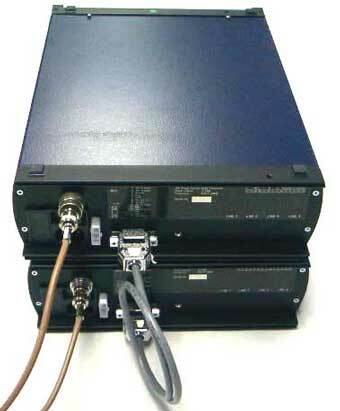 A full duplex repeater can be made by connecting two RT9080 E&M radios back to back using a repeater cable, part no: 119-47-348. Receive 4W audio is on pins 3 and 10. The Rx and Tx audio levels in the cable between the radios are 1VPP at 3.5 kHz deviation. Receive COR of one radio activates the M relay which places a ground on pin 2 of the DB15 of the other radio (Tx key).